This month is designated oral cancer awareness month. During the month of April, we encourage patients to receive oral cancer screenings and let others know about the necessity for these quick, comfortable examinations. 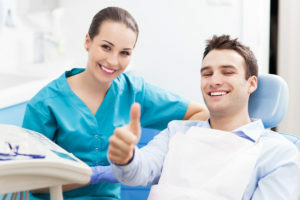 Most dentists are happy to offer oral cancer screening as part of biannual preventive dentistry exams. When you receive regular screenings for oral cancer, you significantly reduce your risk for death from this disease by increasing your chances for early diagnosis. This April, visit your local, Brookfield dentist and team for oral cancer screenings. Does My Oral Health Reveal my Age? It just might! If you’re unhappy with a smile that looks yellow, teeth that look short, or enamel that appears gray, your smile may be aging you. However, there are many ways to prevent dental damage, improve the look of your smile and maintain a healthy, youthful appearance. In fact, it may be a lot easier than you think to look as much as ten years younger. Most importantly, you’ll feel the confidence to smile and speak in any personal or professional situation. Comments Off on Does My Oral Health Reveal my Age? At Thanksgiving, Your Family Dentist in Brookfield Are Thankful for You! At Elmbrook Family Dental, we pride ourselves on offering patients state-of-the-art dental care in a comfortable, welcoming environment. Every single patient we see matters to us. During the holiday season, Drs. Brunner, Taibl, and Tack would like to take this opportunity to express their gratitude for the support of our patients, and the Brookfield, Wisconsin community. The reason we come in and turn the lights on every morning, is to have the opportunity to see your smiling faces. If you’ve already been in to see us twice this year, thank you for continuing your commitment to maintaining the optimum level of oral health, and for letting us be a part of your dental health care routine. If you haven’t been in twice this year for preventive checkups and teeth cleanings, you still have time to start 2016 off with a smile. Call to schedule an appointment today. Comments Off on At Thanksgiving, Your Family Dentist in Brookfield Are Thankful for You! Teeth whitening treatment is one of the most popular cosmetic services available in the dental industry. When you consider just how easy it is to get your teeth as white as they’ve ever been, you can see why many patients choose this specialized form of cosmetic dentistry. Who wouldn’t want to take advantage of revolutionary teeth whitening services? Patients in the past only wish this type of treatment was offered back then. Our Brookfield, WI office offers many wonderful teeth whitening services that are designed to get people the brightest smile they’ve ever had. Though teeth whitening is the end-all be-all of getting your pearly whites whiter than ever before, there are foods you can eat that will help promote teeth health and a whiter shade. By adding these foods to your food pyramid, you will help keep your teeth looking fresh and clean. We have the dentists Brookfield, WI residents can trust. We know, we know. The alarm goes off in the morning and you hit snooze. A few extra minutes of sleep, and then you hit snooze again. And maybe even a third time. Don’t worry—we’re right there with you. The problem is that all that snoozing cuts in to your time to get ready in the morning. 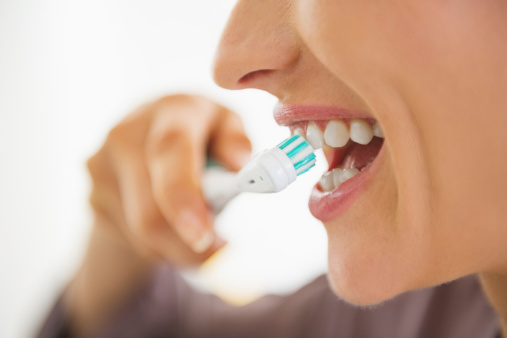 Consequently, you may not be able to devote enough time to properly brushing and flossing your teeth. As your dental health care team—Dr. Brandon A. Brunner, Dr. Eric Taibl and Dr. Suzanne Tack—at Elmbrook Family Dental in Brookfield, WI, want to help you have the most effective at-home oral hygiene routine. And it really doesn’t take much time. Are You Sure You Know The Proper Way To Floss? In case you’ve been living under a rock since you came into this world, flossing, along with brushing, is one of the most important steps to take in ensuring your oral health is at its peak performance. Flossing cleans your teeth in ways that a toothbrush can’t. It’s one of the best ways to prevent diseases and bacteria from invading. There is a huge difference between “just” flossing and flossing with the proper technique. If you’re cutting corners and not flossing correctly, or you have no clue what the proper flossing technique incorporates, we’re here to help. All it takes is a little dedication and your dental routine can become beneficial. Our Brookfield, WI office has a team that genuinely cares about your oral health, and helping you achieve the best results possible is what we pride ourselves on. 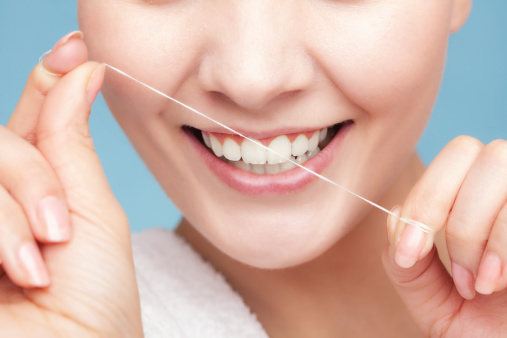 Are you ready to up your flossing game? Comments Off on Are You Sure You Know The Proper Way To Floss? When it comes to offering the best general dentistry services in Brookfield, WI, we think we’re pretty darn good at what we do. 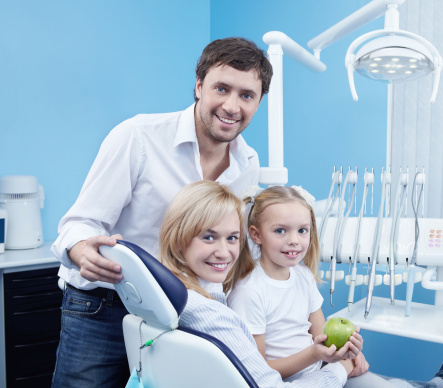 Whether you want a family full of beautiful smiles using our cosmetic dentistry offerings or need to thwart serious diseases with restorative dentistry, you can rest assured that our plethora of dental services can help you and your family. 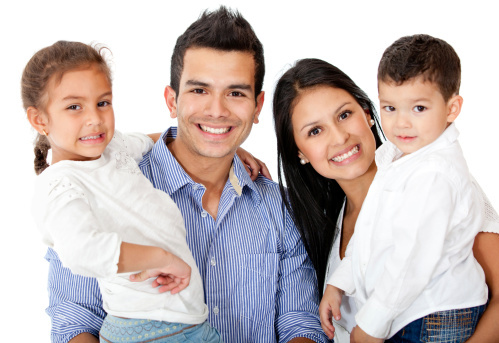 We’re here to keep your family’s smiles as healthy and beautiful as possible. Our team of dentists, Dr. Brandon Brunner, Dr. Eric Taibl and Dr. Suzanne Tack, want to give you and yours a happy and healthy smile you can enjoy for years to come. Swollen and bleeding gums should never be ignored. Although gum disease is preventable, treatable, and in some cases reversible, many patients misinterpret these facts to mean that gum disease isn’t a serious oral health concern. In fact, gum disease is a serious medical condition that can infect other parts of the body and is the leading cause of adult tooth loss. If you have gum disease symptoms, don’t ignore them; schedule a gum disease therapy appointment with the highly qualified general dentists of Elmbrook Family Dental today. Elmbrook Family Dental delivers quality care daily throughout Brookfield, WI, Elm Grove, Milwaukee, Pewaukee, Waukesha, New Berlin, and the surrounding communities. 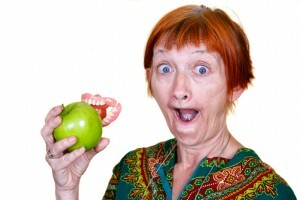 o Gum disease at this stage is easier to treat because it only affects the gums. o Patients with gingivitis typically have red, swollen, and bleeding gums. o Left untreated, gingivitis can lead to a more serious condition known as periodontitis. o Periodontitis often occurs when gingivitis is left untreated. o Bacteria cause chronic infection in the gums and supporting tissues. o Pockets, or deep spaces, form between teeth and gums. o Can cause destruction of supporting bone and tooth loss. o May lead to disease progression and surgery. Scaling and root planing is a trusted and effective gum disease therapy option. In this procedure, we will gently clean plaque and tartar from your teeth and tooth roots. Scaling and root planing can remove much of the plaque below your gum line where harmful bacteria produce the toxins which irritate your gums and cause inflammation. Further treatment may also include antibiotics. In the case of advanced stage periodontitis, gum and flap surgery may be required to fully restore your good oral health. When you come in for a dental checkup, we can accurately measure the depth of your gum pockets. A pocket depth of 4 or more millimeters is a clear indicator of gum disease. If you avoid the gum disease treatment you need, it could lead to potentially invasive and expensive surgeries in the future. Don’t postpone the treatment you need any longer. Schedule a gum disease therapy appointment with the trusted general dentists of Elmbrook Family Dental today. Elmbrook Family Dental proudly serves families daily throughout Brookfield, WI, Elm Grove, Milwaukee, Pewaukee, Waukesha, New Berlin, and the neighboring areas. Are you dissatisfied with your smile? Then it’s time to consider porcelain veneers.Because porcelain veneers have so many applications, you can enjoy the benefits of teeth whitening, orthodontic treatment, and dental crowns, with just one cosmetic procedure. In addition, porcelain veneers offer unbelievably life-like results. After placement, many patients feel the need to confidently show off their brand new smiles to their friends and family. If you’re ready for a smile make-over, make an appointment with the highly qualified cosmetic dentists of Elmbrook Family Dental for your new porcelain veneers today. The experienced team at Elmbrook Family Dental proudly restore smiles daily throughout Brookfield, WI, Elm Grove, Milwaukee, Pewaukee, Waukesha, New Berlin, and the surrounding communities. Porcelain veneers are simply thin ceramic shells that can be attached to the surface of your teeth for an immediate smile renovation. Porcelain veneers can be as thin as a fingernail, allowing for minimal tooth reduction, and in some cases, requiring no procedural anesthesia. Veneers are individually crafted to cosmetically enhance the teeth using material that mimics the appearance of your natural tooth enamel. Porcelain veneers are incredibly versatile and can be used for many different cosmetic corrections. Due to their life-like form and wide array of functions, porcelain veneers consistently rank first among the most popular cosmetic procedures we offer. Over the past 30 years, advancements in dental technologies have made porcelain veneers more natural looking and effective than ever before. Today, the porcelain materials used are incredibly durable and can reflect light just as well as your natural tooth enamel. Don’t put off the smile over-haul you need another year. Make your porcelain veneers consultation appointment with the experienced cosmetic dentists of Elmbrook Family Dental today. Elmbrook Family Dental delivers quality care daily throughout Brookfield, WI, Elm Grove, Milwaukee, Pewaukee, Waukesha, New Berlin, and the neighboring areas.